Dance Educates strives to raise standards through a multisensory approach to learning, supporting teachers in delivering your curriculum through cross-curricular dance and movement sessions. We believe an exciting, social and creative learning environment is the key to children and young people engaging and retaining knowledge enabling them to be confident learners and building skills for life. You can now download our resources from the TES! And why not sign up for our newsletter and hear about our latest resources. Watch an example of Dance Educates in action. 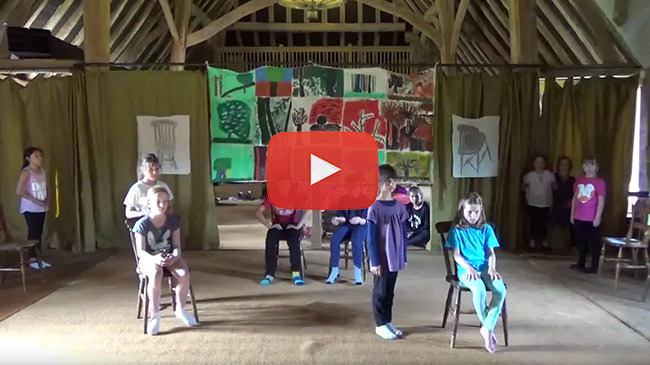 In this video, children perform a dance based on David Hockney’s “My Parents” at Milden Arts Week, Suffolk 2015.